'Swing for Doubles' going strong! 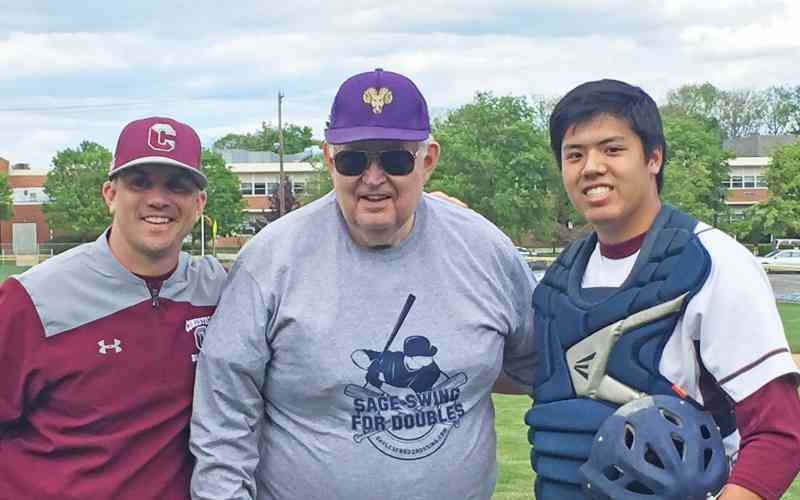 We headed out to Conestoga High School where Daylesford Crossing resident Dr. John Lemcke threw the first pitch; piece of cake for Lemcke, a longtime coach and professor at West Chester University (hence the Rams cap). This season, Sage Senior Living is donating $20 for each double tallied by Great Valley, Conestoga, and Malvern Prep. Conestoga had already chalked up 19 at the start of today's game.